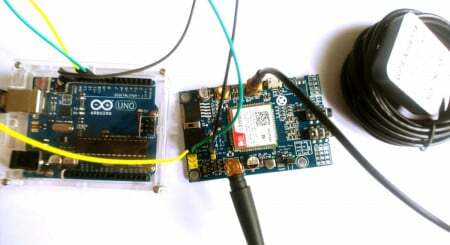 Get familiar with the SIM808 module by creating a car tracking system with an Arduino and GPS antenna! In this tutorial, I will explain the SIM808 hardware interface in depth. You may have a SIM808 module that was shipped from China only to find they don’t come with any documentation or test code. 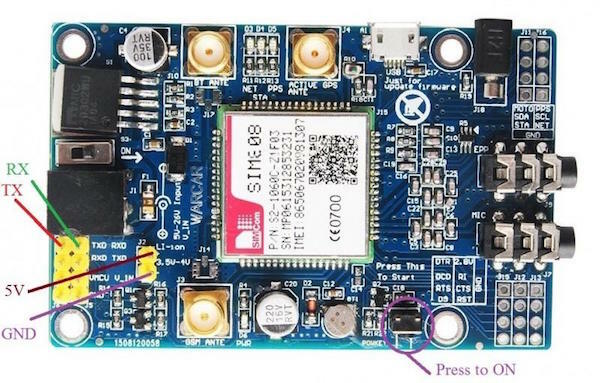 This tutorial can help beginners to quickly understand SIM808 interface specifications and mechanical and electrical details. Also, I am going to add the documentation and libraries on GitHub so you will be to able design various applications quickly. 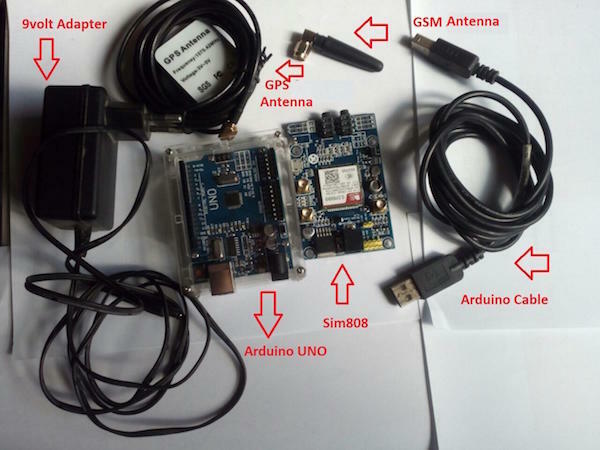 This project is a simple tracking system that uses the same GSM and GPS module that is built into the SIM808 module. 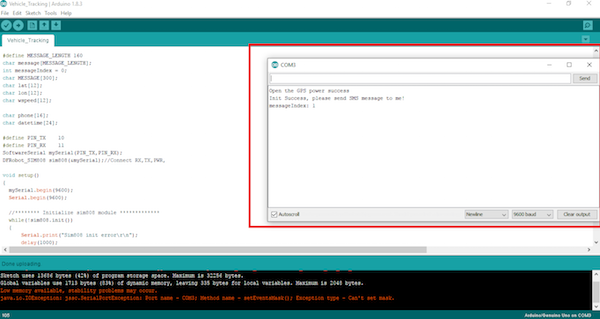 At the end of this tutorial, when you text the GSM module from any phone, you will be able to get a response with the GPS location of the module depending on where it is. What is the SIM808 Module? Basically, the SIM808 module is designed for the global market. It is integrated with a high-performance GSM/GPRS chip, and as a bonus, it also has a GPS engine and a BT engine. SIM808 is a quad-band GSM/GPRS module that works on frequencies GSM 850MHz, EGSM 900MHz, DCS 1800MHz, and PCS 1900MHz. It features GPRS multi-slot class 12/class 10 and supports the GPRS coding schemes CS-1, CS-2, CS-3, and CS-4. The GPS solution offers best-in-class acquisition and tracking sensitivity, time-to-first-fix (TTFF), and accuracy. Read more about the SIM808 module here. Wire up everything as shown in the figures below. Upload the following code. 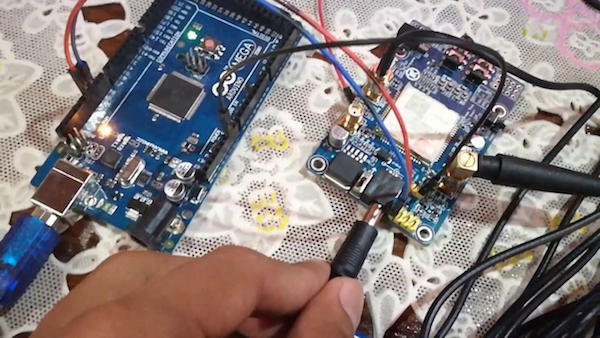 If you are new to Arduino, make sure to check out Maker Pro’s Arduino education page for more tutorials. dtostrf(la, 6, 2, lat); //put float value of la into char array of lat. 6 = number of digits before decimal sign. 2 = number of digits after the decimal sign. 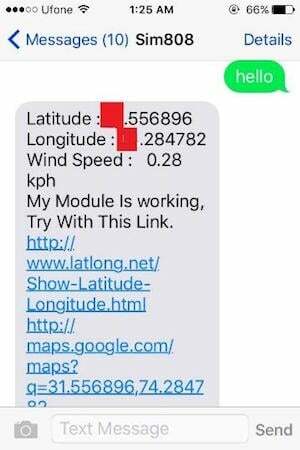 So, whenever you send the “Hi” or “Hello” string to the number of that SIM that is already inserted in the GSM Module, Arduino will text you back with the longitude and latitude information of your module location. If you need any help, please leave a comment!